Beautiful traditional impressive villages, isolated remote living, green to barren hills, forest, picturesque landscapes and mountains are the main attraction of this trip, around Snow Leopard trail to Shey Gompa, on the far north west of world’s 07th highest Mt. Dhaulagiri 8,167 m and, dramatic variation from sub-tropic -Mediterranean, alpine to arctic climatic zone, daily amazing views of snow capped mountains, visit of turquoise Phoksumdo lake, fascinating traditional mid hills of Thakuri, Dolpa’s & Magar tribe villages, crossing of high scenic passes of Kang la, Saldang-la and Jeng-la of over 5,000 meters high. 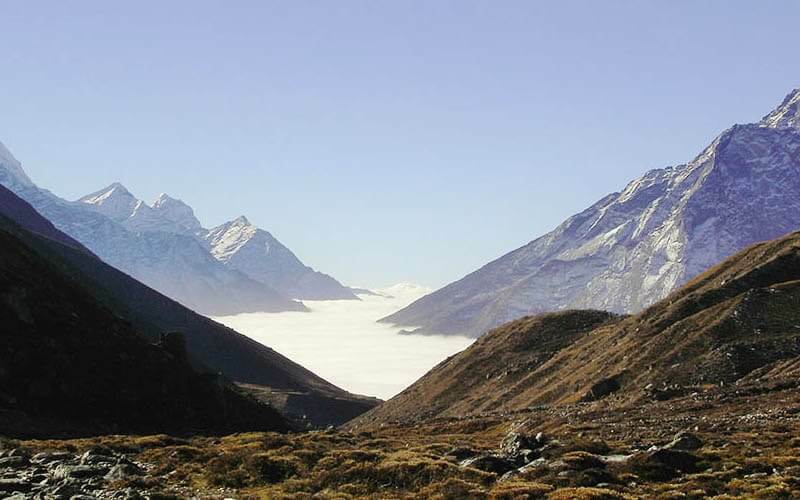 Upper Dolpo Trekking is one of the most culturally rewarding trekking destinations in Nepal. The Dolpo Trekking offers an immersive experience of the isolated communities and long-held cultural traditions in local society. 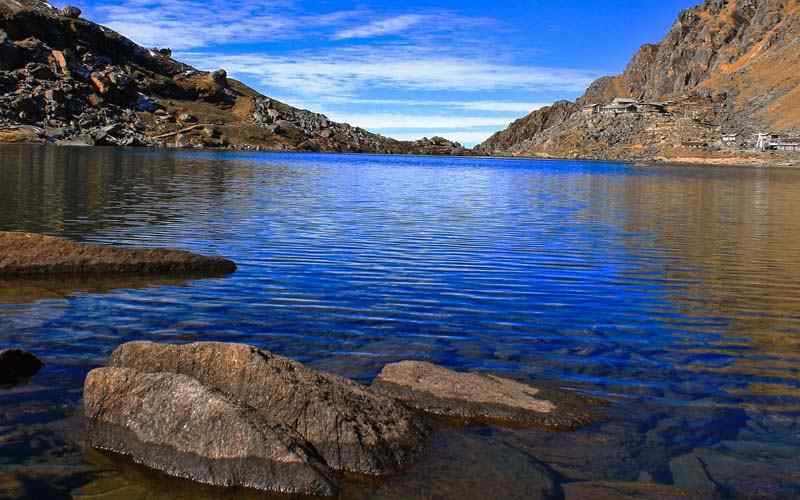 Examine Trans-Himalayan scene and explore to Nepal’s most significant lake Shey Phoksundo. The Dolpo trek is overflowing with wild undertaking and adrenaline surge. Tibetan lifestyle and having salt trade course on the trail absolutely takes you back to out of date conditions. 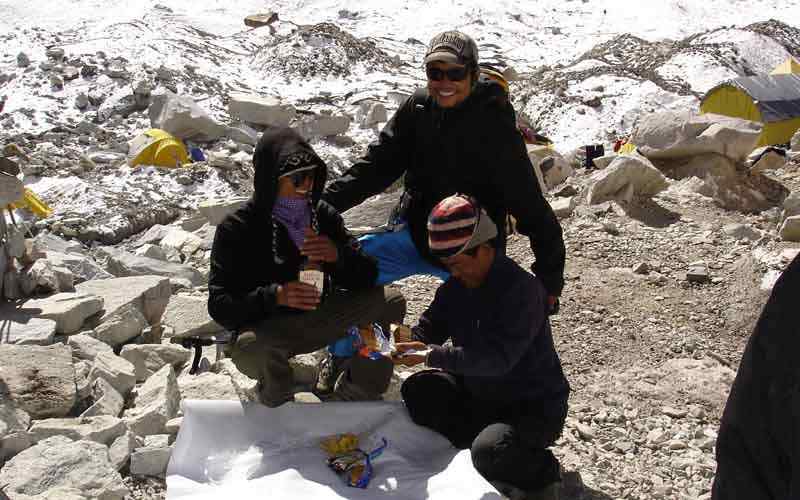 The phenomenal social experience and Himalayan delight flabbergasts the visitors. The upper Dolpo Trekking is untainted and less explored. Thusly, trekkers can value astonishing scene which is less found by people over the globe. Starting with an incredibly scenic fifty-minute flight to Nepalgunj, you then take another short flight to Jhuphal (2,320m/7,611ft). Exploring through towns, green rich woodlands, terraced farmlands and characteristics of Mother Nature. The Shey Phoksundo lake inside the National Park makes amaze, if lucky you can encounter diverse wild animals also. Himalayan Thar, monkey, puma and various others are risked species which you will find inside the security zone. We make the return journey through Tarakot, another of the interesting villages with ancient dzong (fort) and history as a trading post on the caravan route through Nepal and Tibet. While reestablishing the voyage takes another course to Dunai where visitors joins holy religious networks and high goes close by green rich boondocks condition. When you accomplish Juphal flight course will take you back to Kathmandu through Nepalgunj. 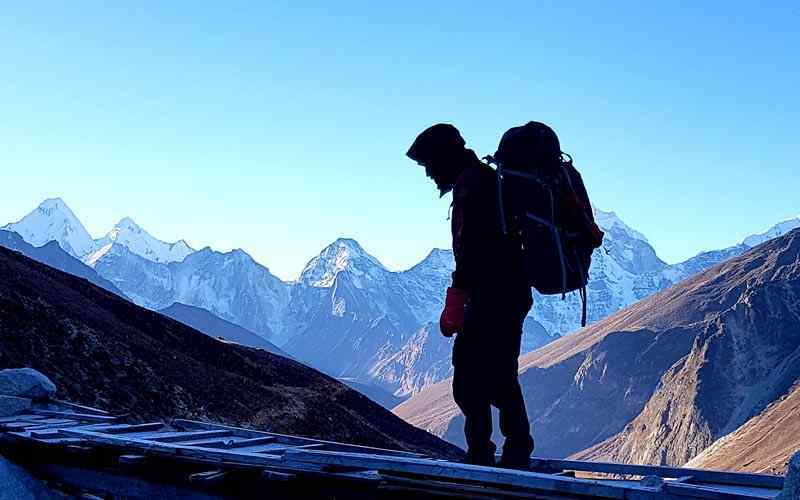 Trexmount Ventures takes you brilliantly for Upper Dolpo Trekking with excellent style of adequately walking around long reroute. Our trekking Crew practice to give changing foundation customary in the midst of long walking events. Day 03: Flight to Nepalganj. 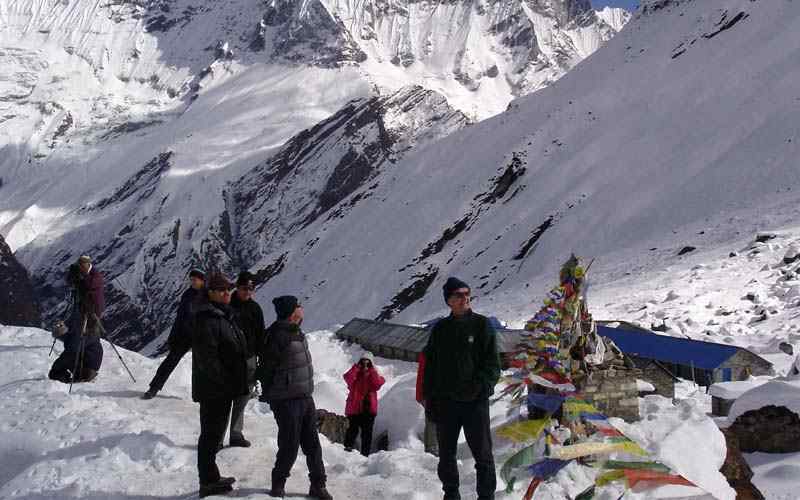 Day 04: Fly to Jhuphal (2,320 m-7,611 ft) then trek to Dunai (2,850 m-9,350 ft). Day 05: Trek to Ankhe (2,896 m-9,501 ft) – 06 hrs. 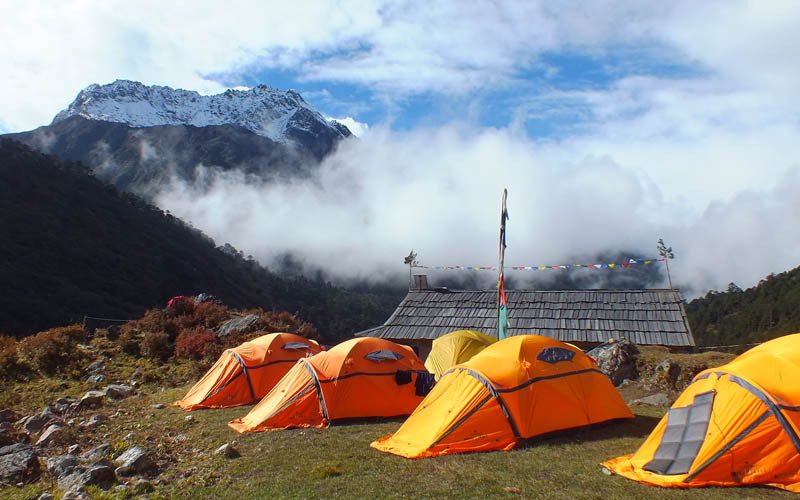 Day 06: Trek to Sumdu Sulighat village (3,500 m-11,483 ft) -06 hrs. Day 07: Trek to Phokshumdo Lake (3,500 m-11,483 ft) – 05 hours. Day 08: Rest day at Phokshumdo Lake for acclimatization. Day 09: Trek to Phokshumdo-Khola (3,640 m-11,942 ft) – 05 hrs. Day 10: Trek to Phokshumdo Bhanjyang (4,420 m-14,501.31 ft) – 07 hrs. 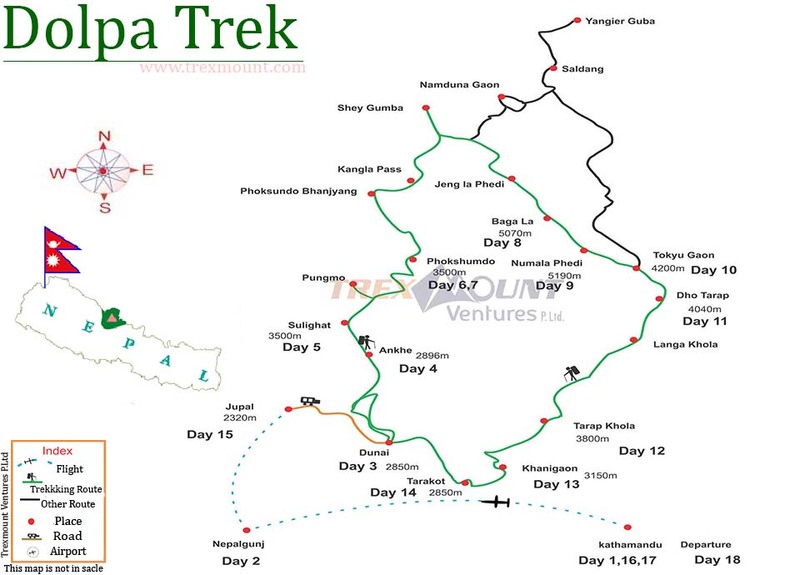 Day 11: Trek to Shey Gompa (4,500 m-14,764 ft) via Kang-La (5,360 m-17,585 ft) -06 hrs. Day 12: Rest day at Shey Gompa the Crystal Monastery. 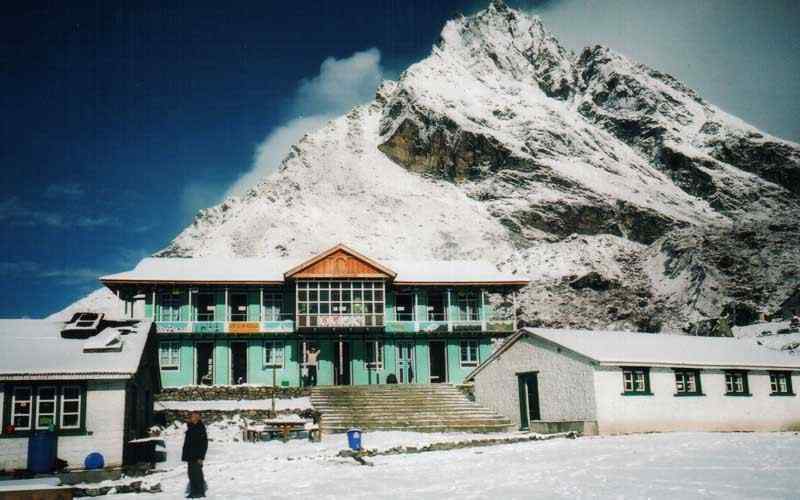 Day 13: Trek to Namduna Gaon (4,800 m-15,748 ft) via Saldang La (5,200 m-17,060 ft). Day 14: Trek to Saldang (3,620 m-11,877 ft) -05 hours. 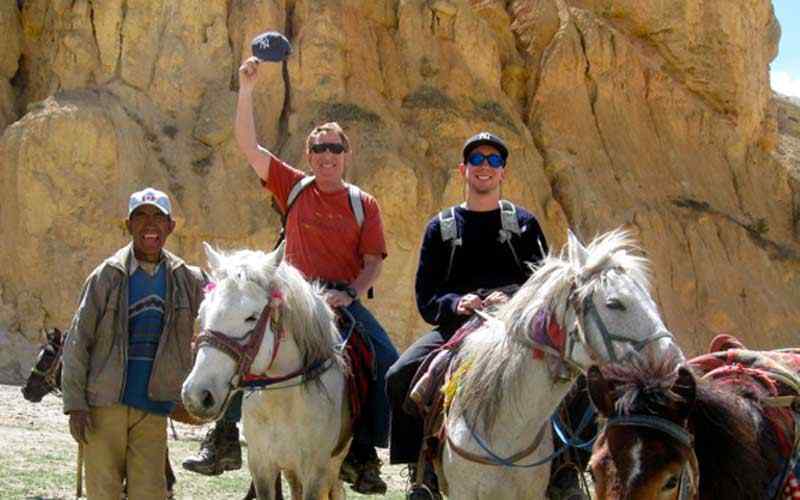 Day 15: Trek to Yangze Gompa (4,960 m-16,273 ft) – 05 hrs. Day 16: Trek to Sibu (4,560 m-14,961 ft) – 07 hrs. Day 17: Trek to Jeng-la phedi (4,900 m-16,076 ft) -06 hrs. 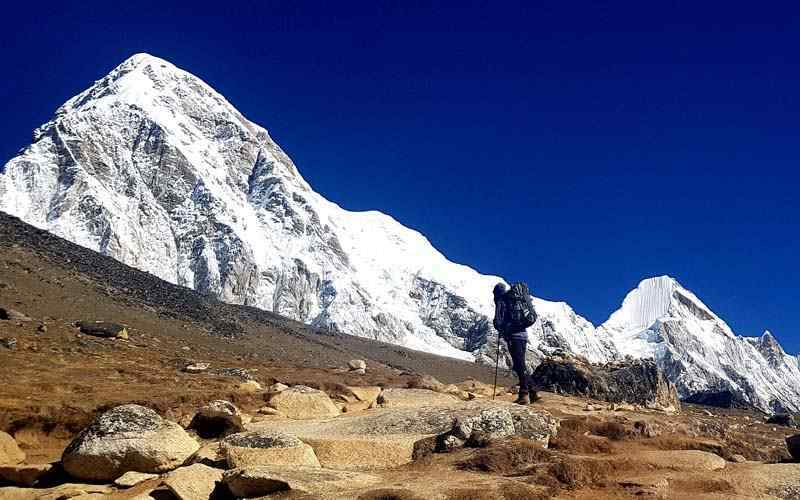 Day 18: Trek to Tokyu Gaon (4,200 m-13,780 ft) via Jeng la (5,090 m-16,699 ft) – 06 hrs. Day 19: Trek to Dho Tarap (4,040 m-13,255 ft) – 05 hrs. Day 20: Trek to Tarap Khola (Kamekharka) (3,800 m-12,467 ft) – 08 hrs. Day 21: Trek to Kharigaon (3,150 m-11,516 ft) – 05 hours. Day 22: Trek to Tarakot (2,850 m-9,350 ft) – 05 hrs. 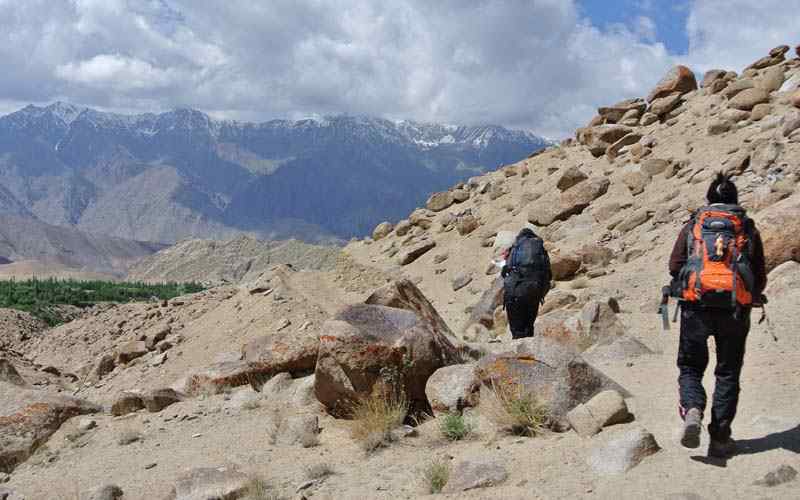 Day 23: Trek to Dunai (2,850 m-9,350 ft) and drive to Jhupal (2, 320 m-7612 ft) – 01 hrs. Day 24: Fly to Kathmandu via Nepalgunj and transfer to hotel. 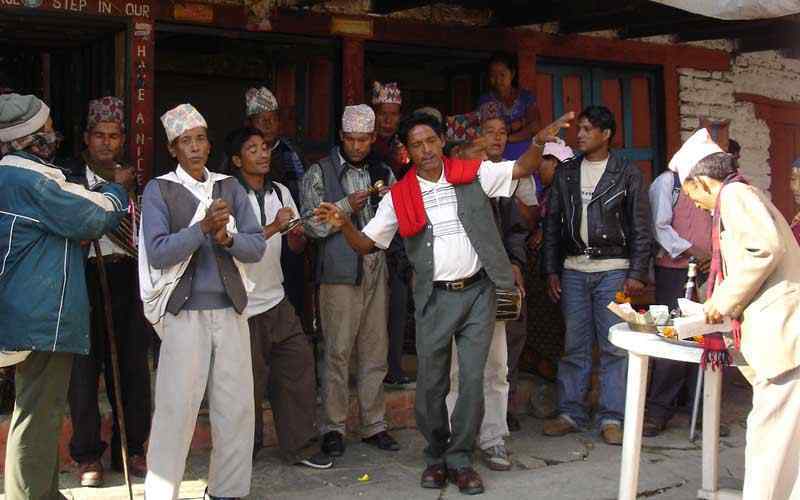 Day 25: In Kathmandu with cultural tour at places of interest. In the afternoon transfer to Kathmandu domestic airport for a 50 minute scenic flight to Nepalgunj, a transit place for another flight to the Dolpo region. Nepalgunj is warm with sub tropical temperature. It is located close to UP border of India. There are beautiful view with panoramic vistas of chain snow capped peaks during the flight. Overnight in the Hotel. Early morning transfer back to Nepalgunj airport for another flight to Jhuphal in Dolpo. We have excellent view of mid hills, dotte villages and farm fields during this 25 minute flight. 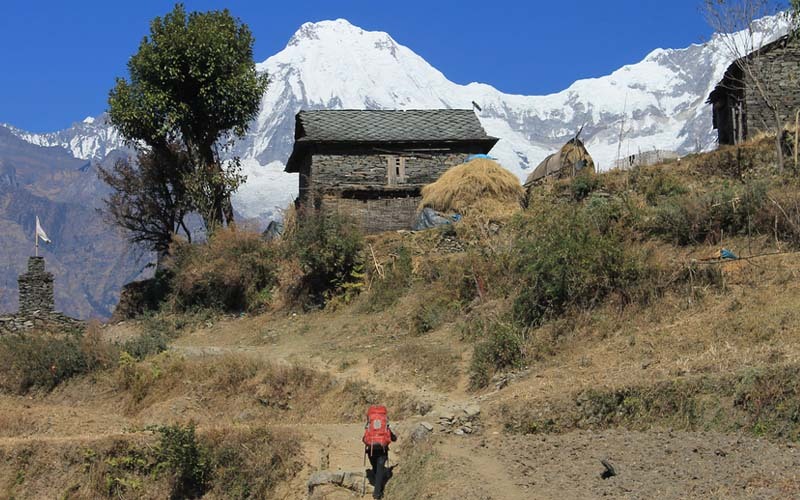 We will start the hiking after meeting your porters for the trek. Dunai is district headquarter of Dolpo where you have overnight in the first trekking day. We start with crossing a suspension bridge with a gentle climb into the other side of Thulo Bheri River valley. We will follow the river valley and cool forest to reach Ankhe for overnight. We begin with short gentle ups and downs into the forest to reach the river side from where we climb to a ridge above the river and descend to cross a small bridge near Ryajik village and gentle climb before reaching at Sulighat village in Sumdu. We start through the Phokshumdo valley in a confluence Pungmo Kholas (streams). 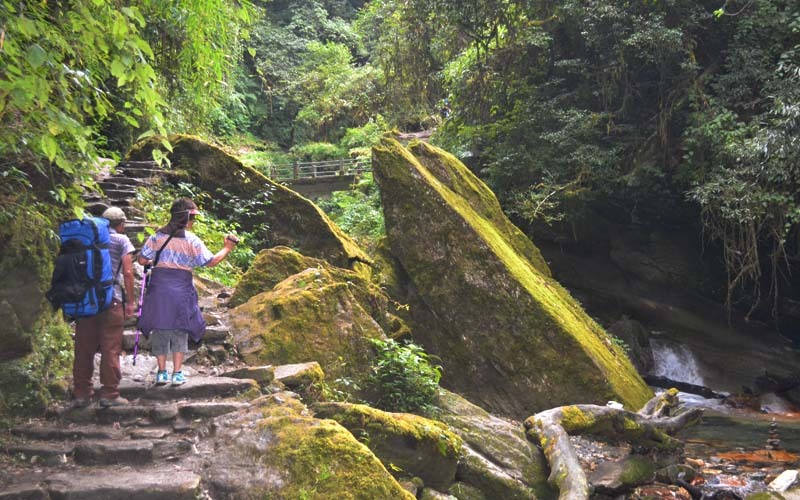 Cross the west side of Phokshumdo Khola to follow Pungmo Khola on the west bank. Ascending to Reach Ringmo village which is an interesting traditional Tibetan like village with chorten and Mani (prayer) walls. 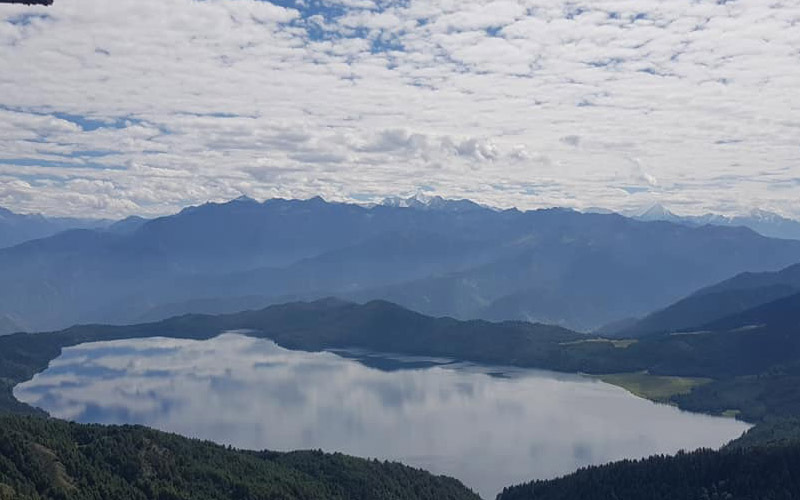 We walk little further to reach beautiful turquoise colored Phokshindo Lake. A pleasant and wonderful place for a rest day for acclimatizing which is important before hiking into higher, With a leisure in the morning, take a short hike to explore the pretty village and meet the locals with their rich old traditions. From this beautiful spot, our journey continues to reach other highlights of this trip. Our route contours a rocky shelf over a river bank towards western end of Phoksumdo Lake. Arrive at a summer grazing field, opening into the vast flood plain of Phokshumdo Khola and stop here for overnight by the riverside. From this isolated area, morning walk begins on a gradual path towards a glacial valley which leads north of Phokshumdo khola. Arrive at another confluence where another small stream joins. Walk over a long ridge through grazing area. After a good ascending to reach a ridge top which is offering fabulous scenery of another wide valley and the Kang-La pass on the trail to Shey Gompa. We start to reach our main destination, Shey Gompa and the Crystal Monastery today. We will be starting with steep uphill climb over slated stone to reach on the top of Kang-la pass at 5,360 meters, the highest point of this adventure. Enjoy a super vista of valleys and snow capped peaks as far towards Mt. Dhaulagiri range. After a great moment, we descend to the river bank, then on the wet marsh and meadows. See herds of yaks, sheep, goats, nomad’s shelters. Slowly reach a red chorten (Buddhist monument), a relief sign. This long hard trek comes to magnificent Shangri-La at Shey Gompa beneath the Crystal Mountain. 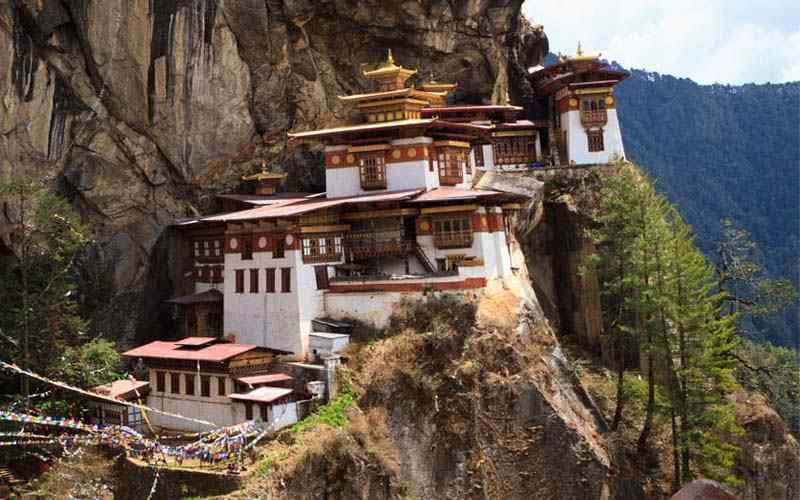 Another rest day to marvel the beauty of this mysterious and fascinating place, Visit Shey Monastery, Sheymeaning crystal in Tibetan and the native language. This monastery is also known as Crystal Monastery. It was described in the Peter Matthiessen novel The Snow Leopard. Crystal Mountain is located east of Shey Gompa, strangest and mystical Crystal Mountains, as beams with contorted cliffs laced with quartz, embedded with rich variety of marine fossils. Leaving certainly this strangest and supernatural spot, we will be heading towards farms and villages to the lower Dolpo area with Saldang and Namuna villages. Follow the path lined with juniper trees and descending into a canyon. The trail winds up to Saldang-la pass providing awesome views of surrounding hills and valleys. We will be walking towards a pasture land of yaks, sheep. 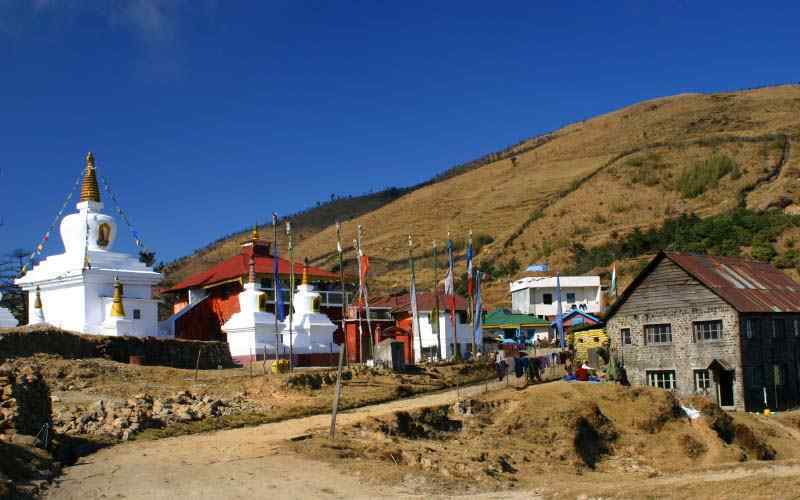 Take a gradual walk to reach Namduna Gaon which is a nice village with an old monastery of Karmapa of Tibetan Buddhism sect. Namduna Gaon is a farm village that harvests only one crop a year mainly barley, As other villages in the area grow buckwheat’s, mustard, potatoes and radish. We start in a steep rocky slope and dusty barren. After few hour’s climb, reach Saldang another impressive village that is located above a plateau which is one of the largest villages of inner Dolpo area. In Saldang there are five villages a prosperous village spread out area. Saldang is the prime village of Dolpo area. It is known not only for its agriculture product, but also for being a major location for trade and caravan route to Tibet. 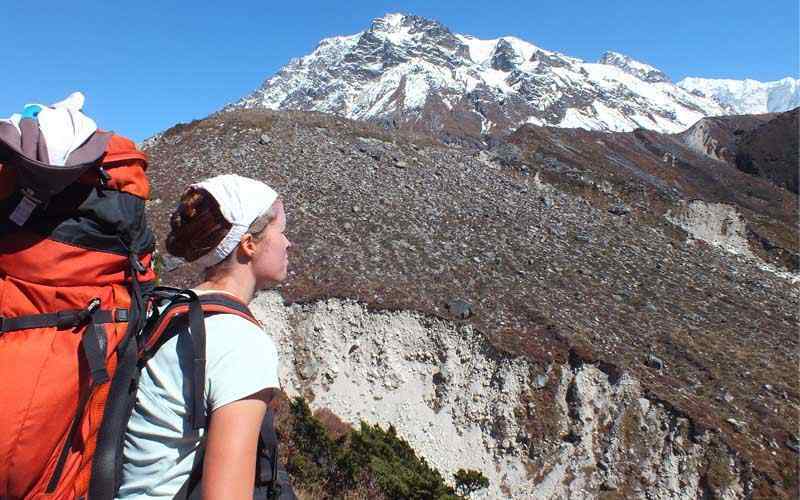 This great journey leads on to a least visited area by other trekkers. Follow the Nang chu River most of its way in this windswept scenic trail. We hike ups and downs pass to reach Tiling and Lurigaon, a smaller settlement. Walking little further will get into the Yangze village with an old Bon-Po Monastery. Bon–Po or Pa is a pre-Buddhist 6th Century religion that originated before Buddhism came reached Tibet around 6th Century. Our route retracing the path towards Saldang village, This route is more straight forward and shorter to Sibu and beyond. Re-cross the path to reach Saldang village. The path follows the river into terraced fields with rows of stupas, chortens and a monastery. We hike through Namdo village which is another large flourishing village with more than 60 houses. Here visit an old impressive Namdo monastery. Descend towards the river side a sheppard’s temporary settlement at Sibu grazing land. Our return journey leads through many grazing pastures after visiting cultural villages. The morning walk follows Nam Khong Khola (stream) for an hour. Encounter a yak caravan laden with Nepali goods for trade on the way to Tibet border on this old Trans Himalayan Trade route. Follow the same river for for sometime and turns east to confluence of two smaller rivers. We will hike uphill towards Jen–la Pehdi. We start quiteearly in the morning to cross the last high pass of this adventure. 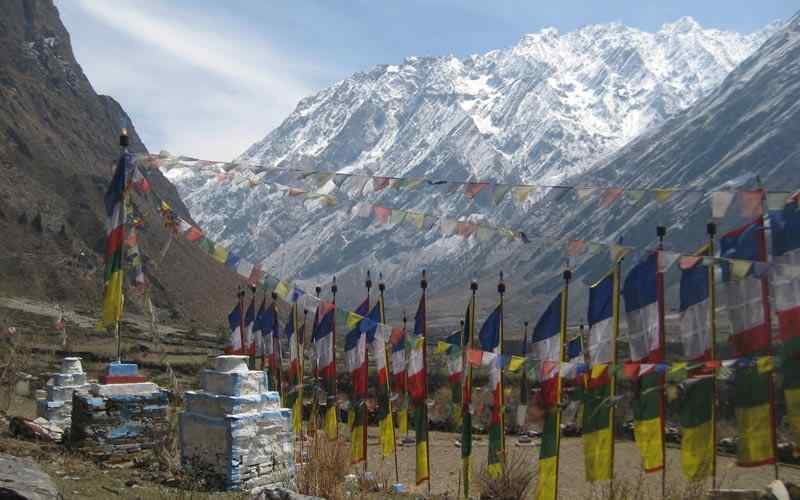 After a gentle climb, reach on the top of Jeng-la marked by prayer flags and stone monuments. 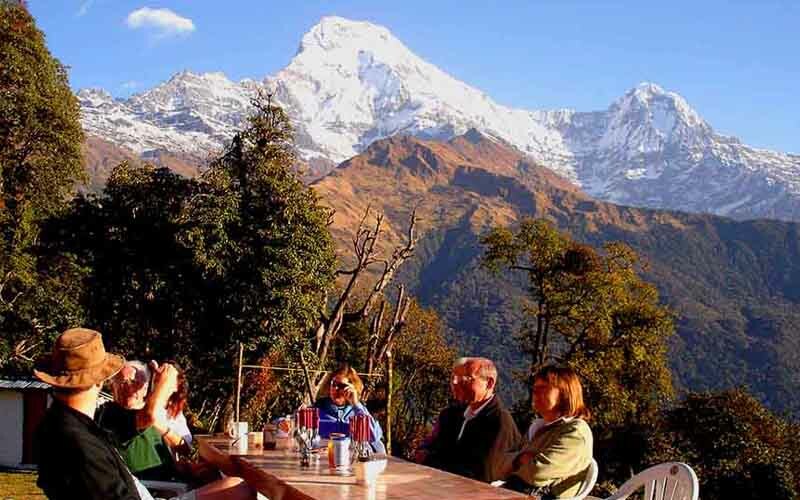 Enjoy magnificent views of the distant Dhaulagiri mountain range and towards the west Kagmara, Kanjiboraba Himal. We will start descending to reach Tokyu Gaon. Tokyu Gaon is a pretty village with monastery which is one of the oldest of this area. Have the afternoon free to explore this fascinating village and its monastery. 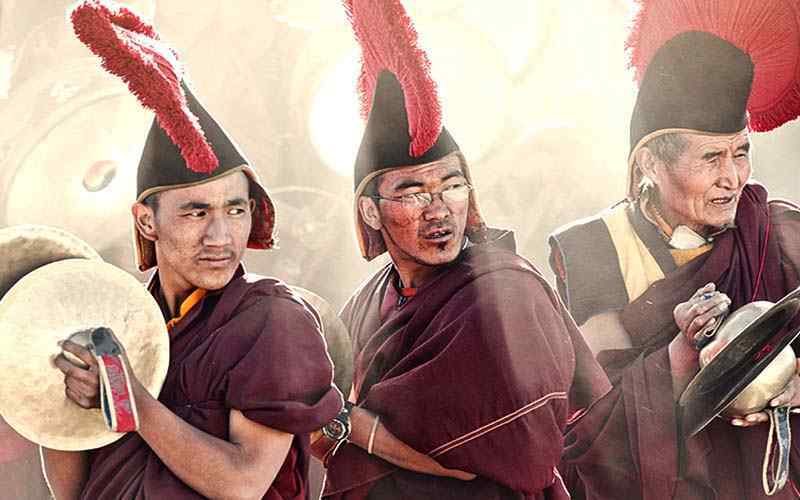 The people of this area belong to both Bon-Po and Chaiba sects of Tibetan Buddhism (Mahayana), living together in friendly harmony. We start descending towards a wide green valley of Tarap Chu. Pass temporary shelters of Yak herders. After a nice break with great views, walk to Dho Tarap for overnight. 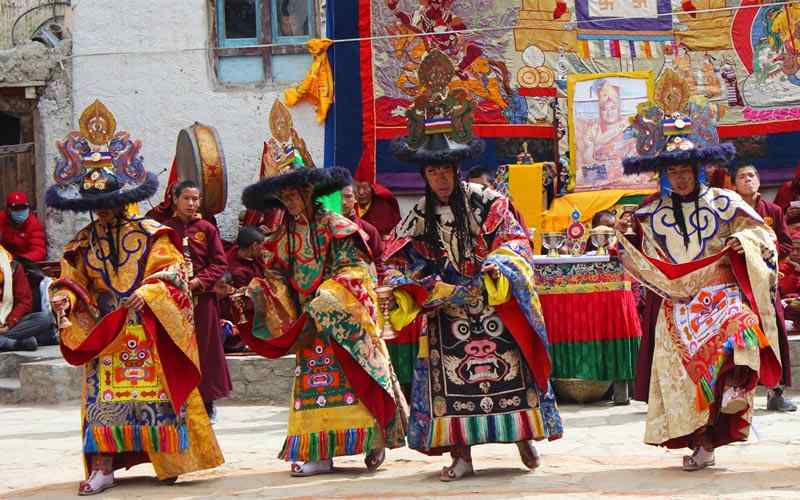 Explore this nice village populated mostly by people of Tibetans and the Magar tribes. Today WE going to walk one of the longest trek of this trip. As the country changes, reach the lower Dolpo area. Enjoy a moderate walk on gradual path with few up hills and down. Enter a wide valley and which narrows into a gorge. Take-in the vegetation of juniper, wild rose, and blueberry bushes which is typical in this dry arid landscape being that it is in the inner high Himalayan of the arctic temperate zone. You may encounter some wild life including herds of blue sheep before reaching into Tarap Chu and Lang Khola, which flows from Tarap River beyond east and originates from the glaciers of North West Dhaulagiri Himalaya range. After a pleasant trek come to a wonderful grassy field of summer pasture called Kamekharka. After few days of camping in complete wilderness in nice grazing fields, today’s walk leads back to a small village of Khairgaon. Walking beside Tarap River and enter a deep gorge. Mount above a path built on sheer stony slopes. The walk into a narrow gorge provides some challenge. We will cross over a flood damaged to reach Kharigaon. The walk today leads to another most interesting and exciting village at Tarakot. Continue heading to the lower side of Dolpo area through Lalberi village and then into tree lines of willow, poplars and junipers. We will follow the river downstream to Tarakot village which is a picturesque village with neat terraced cultivated fields and an old fortress. Tarakot is a village of old interesting history as this place, even before Gorkha king and Shah dynasty who has an ancient capital during Malla period and had forts known as Dzong. Upon reaching Tarakot village, visit its famous, old Sandul Gompa, standing between the confluence of Barbung Khola and Tarap Chu. After an interesting tour of this village, overnight near a monastery on the shelf of a grassy plateau. Our outstanding adventure is coming back to impressive village Dunai. Walk a short distance to a motor road before driving with a jeep to Jhuphal and for the flight back to Kathmandu. We will transfer to the airport for the flight to Nepalgunj. At Nepalgunj with time to refresh in this warm area, in afternoon catch another flight back to Kathmandu and then transfer to hotel. This day reserved day in case of flight delay at Jhuphal due to unfavorable weather conditions. On this extra day, you are free to do your own activities. Farewell dinner in the evening. All round flight from Kathmandu-Nepalganj- Kathmandu and Nepalganj –Juphel-Nepalganj. 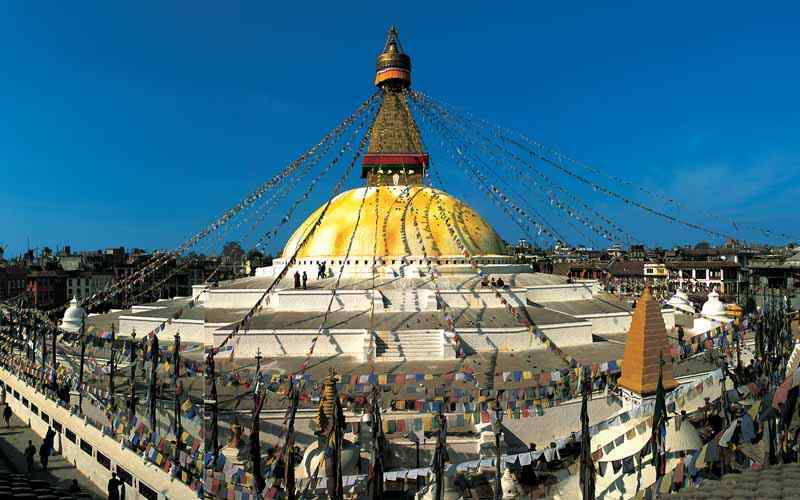 Temple and monastery entry fee, & entry fees while sightseeing in kathmandu & Nepalganj.